Tomorrow our Government will deliver the new National Development Plan and Planning Strategy at their launch event in Sligo. The commentary from Geoview below re-inforces the need for a better spread of investment across the country from now on. Whilst Dublin is (worryingly) awash with stories of record rents, new deals and new entrants, the story outside the capital is very different. No doubt many investors are now wondering whether central Dublin has just become too expensive. The launch tomorrow will signal where the Government want investment to focus over the coming decade with 115bn of spending to be identified. Expect lots of photo opps and you can guess that Sligo is going to get some good news! Depressingly we are seeing the usual rumour and speculation about political interference and jockeying. No doubt we will see some surprises, but if you're looking for long term investment opportunities it should provide a good guideline for where infrastructure spend will be focussed from the public purse. Clients are increasingly concerned about value for money and site prices being unrealistic in the capital. Will new policies be able to steer money away from the East? Remember "decentralisation" in the 2000's? A complete disaster launched to huge fanfare. Hopefully we will have learnt from past experience and a more measured, evidence based approach will be taken this time around. Vacancy rates for commercial properties outside of Dublin remain “stubbornly high” with a significant portion of the vacant properties unused for over three years. The GeoView Commercial Vacancy Rates report, published by a body backed by An Post and Ordnance Survey, found the national commercial vacancy rate dipped only slightly from 13.5 per cent in the fourth quarter of 2016 to 13.3 per cent in the same period last year. 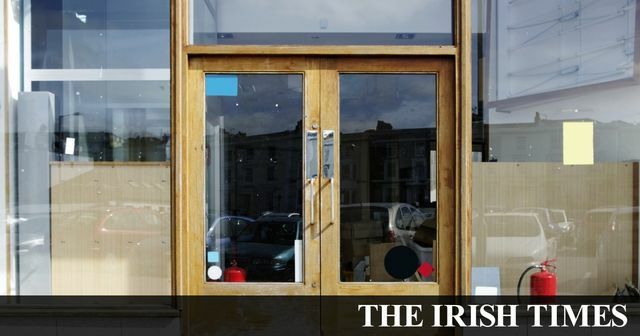 Of the almost 212,000 commercial address in Ireland, more than 28,000 were vacant with 67.8 per cent of those empty for more than three years. As expected, the greater Dublin area accounts for 33.2 per cent of the overall national stock while the entire providence of Connacht accounts for 13.7 per cent and Ulster for 7.8 per cent. The GeoView report highlights a continued imbalance between Dublin and the rest.